Richard Donner is old school. He doesn't make movies. He makes "pictures." Donner is the kind of filmmaker who would have fit right in to the classic Hollywood studio system of the 1930s. He's a journeyman -- a guy who can work in any genre (and does!) and crank out movies that are slick and professional but never artless. He makes solid entertainment, succeeding sometimes much more than others. And while it can be difficult to recognize what a "Richard Donner film" is while you're watching one, when his directing credit comes on at the end, the reaction is always "Yeah, I can see that." 1. The Omen (1976) - Though Donner had already directed two films prior to this (X-15 in 1961 and Salt and Pepper in 1968), The Omen was his real arrival as a big commercial director. Still considered one of the best horror movies ever made by many, it's clear that Donner was using this as his calling card -- while never self-conscious, there are enough nice touches (like the glass breaking before Lee Remick falls) to demonstrate that he knows exactly what he's doing. This is one of Donner's more stylish movies, though it's mostly carried out with the workmanlike efficiency that 20 years of directing television will get you. 2. 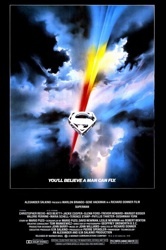 Superman (1978) - Here's the one that changed it all. Not only is Superman still one of the best comic book movies ever made, it basically created the entire genre -- even if it wouldn't really find its footing until the 2000s. Thirty years before we all fell all over ourselves to praise Christopher Nolan's "realistic" take on the superhero movie, Donner was doing it with Superman. The movie is grounded in great, well-realized characters and recognizable interactions, but still told with the scope and scale of an epic comic book myth. Despite the current glut of superhero films and all the advances in technology to have come since it was made, Superman is still one of the best the genre has produced. It's probably Donner's best film. If you want to understand just how crucial he was to nailing the tone of the movie, just watch Superman II again, which uses about half of Donner's material and half of Richard Lester's campy nonsense after Donner was fired off the movie. Anyone who says Superman II is a superior sequel hasn't watched it lately. 3. 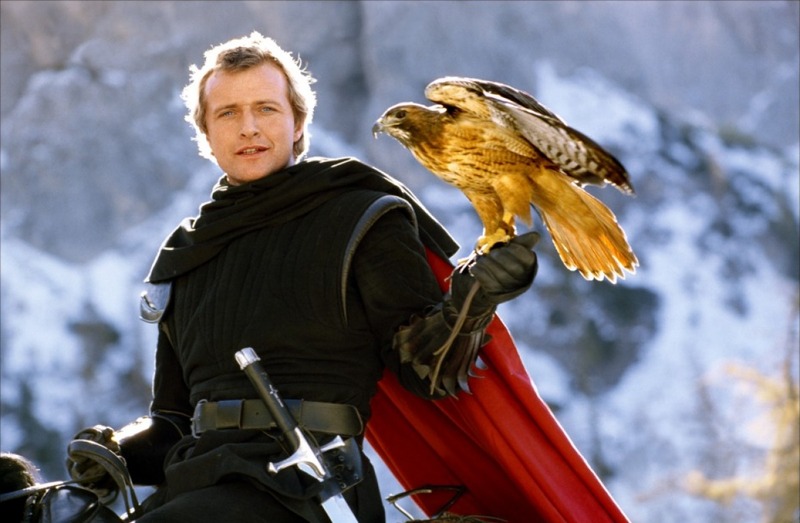 Ladyhawke (1985) - One of the interesting things about Richard Donner is that he likes to make a movie in every genre. He had already made his horror movie, then he made his big comic book blockbuster. Here's his fantasy movie (a genre he would return to with much less success in the 2000s with Timeline), a sweeping and fun medieval romance with hints of the supernatural. Like in Superman, Donner wisely plays everything straight. If the movie has a major flaw, it's that Matthew Broderick's performance as Mouse is way too modern, as though Ferris Bueller found his way into the twelfth century. 5. Lethal Weapon (1987) - The runner-up to Superman for the title of Donner's best movie, Lethal Weapon showcases everything the director does well -- lots of practical stunts, humor, set pieces and solid second unit work that adds up to one of the great analog action movies. There would be three more sequels, all of lesser quality than the one that preceded it, and it's a rare case where the same filmmaker returned for every installment. By the fourth Lethal Weapon, everyone was just working for a big paycheck and the chance to hang out together again, but the first is one of the best buddy cop movies of all time (if not THE best) and one of the best action movies of the '80s. Donner is the film's secret weapon, finding the heart in Shane Black's script and directing the action just as well as a John McTiernan or a Walter Hill. 6. Scrooged (1988) - Here's Donner's first outright comedy, and it's proof that it was one of the genres at which he was least adept. The movie is a messy combination of elements; Michael O'Donoghue's script is too dark and mean-spirited, the cast is uneven and Donner's direction, while predictably competent, does little for the material. 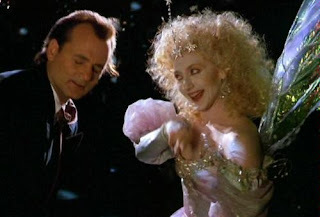 Only Bill Murray's unhinged performance carries the movie through, and even that feels a little desperate at times. For a lot of people, this is a holiday classic, but Donner did Christmas better in Lethal Weapon. 7. Radio Flyer (1992) - This is not one of Donner's best movies, but there's a reason for that: it wasn't his movie. Screenwriter David Mickey Evans was the original director on the film, only to be replaced by Donner during production. It's another testament to Donner's workmanlike skill as a director -- the kind of guy who would have flourished in the studio system of the 1930s -- but also speaks to his disassociation from the material. Radio Flyer doesn't fail because Donner isn't connected to the material, because he never really is. It doesn't work because the material isn't all that great to begin with. The movie provides a glimpse of the director-for-hire that Donner that could have been had Superman not hit so big. 8. Maverick (1994) - And here's Donner's western. With years of experience directing westerns for TV (he got his start doing episodes of The Rifleman and Wanted: Dead or Alive), Donner was a natural to direct this big-screen version of the classic James Garner TV show. Plot-wise, the movie is kind of a mess (there were major overhauls and stuff that was tossed out of William Goldman's script), but the three main performances by Mel Gibson, Garner and (especially) Jodie Foster are so sharp and fun that the movie is super entertaining. Donner's movies are all competent, but few are this enjoyable. 9. Conspiracy Theory (1997) - Donner reunited with Mel Gibson again for his Hitchcock movie, with Gibson playing a paranoid cab driver who discovers many of this suspicious turn out to be right. The movie is basically just a star vehicle for Gibson and Julia Roberts, but Gibson really commits to the crazy and the movie is very watchable (albeit silly) in a very '90s way. Like so many of Donner's movies, it's the kind of thing you end up leaving on when it shows up on TNT. It finds the director at the start of his long backslide; problematic as it is, this might be his last best movie. 10. 16 Blocks (2006) - There is nothing special about this Bruce Willis/Mos Def action movie; it's exactly the kind of solid, well-executed movie at which Richard Donner excels. It's on this list because it's probably the last movie we're ever going to get from the director, who is now in his 80s; without it, his last movie would have been Timeline. Thank goodness for 16 Blocks. This Director Essentials column comes via suggestion by Leo Logan (good one, Leo!). If you have a filmmaker you'd like to see covered, let us know in the comments below or email us at fthismoviepodcast(at)gmail.com. Great article. Donner, like most great directors, has kind-of lost it in his later years but the body of work he left has been entertaining, respectable, financially sound and creative-enough for 'auteur' status. It seems fairly obvious and redundant, but how about a Quention Tarantino column? Or, if you're feeling fancy, a Jean-Pierre Melville one. Right, yes. I momentarily confused my Superman sequels with RoboCop sequels. Oh, if I had a nickel. I'd like to see a column on Jodorowsky or Lynch. David Lynch is a great idea. Some directors I want to cover are difficult, because there aren't any movies I could leave out (sometimes they haven't made enough). If you're going to do a list of 'essential' movies, some have to hit the curb -- otherwise you're not really picking out some over the others. That might apply to David Lynch...though I would be very comfortable leaving out Inland Empire. That might be it. Good point. Whatever comes next, I'm sure I'll enjoy it. Terrific post! Yes, yes, YES to Superman being superior to Superman II. I was always baffled at critics who put part II over part I - including Ebert, to my horror (he gave the original 3 1/2 stars, and the sequel 4 stars). And I'm glad to hear someone else praise Maverick for being greatly entertaining - of course I'm a big James Garner fan, so seeing him in the film was a real treat. When I see Mel Gibson in this movie, I find it hard to imagine the racist psycho he apparently really is. When I was a kid, I thought Superman II was one of only a few superior sequels. Then I turned 12 and realized that opinion is wrong. Maverick is great. I could watch it anytime. I'd put it right behind Superman and Lethal Weapon for my favorite Richard Donner movie. Cool article Patrick. Damn Richard Donner has had one hell of a career, Superman, The Omen, and Lethal Weapon are my personal top 3 of his (and it's been a long time since I've seen it but I remember liking Radio Flyer when I saw it as a kid.) I also think Lethal Weapon 2 holds up pretty close to the first, don't get me started on LW 3 and 4 Pesci overload ahh! Out of all the F this movie columns this is actually the director I have seen the most films of, I only need to see Ladyhawk- That hawk looks badass , could probably beat the crap out of the Hogwarts owl and the Ga'Hoole owls. I think Lethal Weapon 2 is a stunner as well. Killing Rita and seeing Mel carrying her body on the beach haunted me when I first saw it as a kid.